Helps to fulfill the mission of Christ and the Church and interprets the purpose of the UMW. Works to build a supportive community among women and helps foster growth in the Christian faith, mission, education, and Christian social involvement. United Methodist Women shall be a community of women whose purpose is to know God and to experience freedom as whole persons through Jesus Christ; to develop a creative, supportive fellowship; and to expand concepts of mission through participation in the global ministries of the church. Our work is inspired by our PURPOSE and turning faith, hope and love into action. Making this statement a living reality is our goal. Commitment to God’s calling, sensitivity to others, openness to new ideas and a heart for mission are all needed to foster the values that are at the core of the PURPOSE. United Methodist Women depends on laywomen who use their God-given gifts to engage in God’s mission in the world. United Methodist Women is committed to developing strong leaders through education and training that equip women with leadership skills. We offer women opportunities to develop a deeper understanding of mission, grow spiritually and have the opportunity to make a difference in the lives of women, children and youth. As a member of United Methodist Women, you have the opportunity to serve at the local, district, conference, jurisdiction and national levels. Learn more about that leadership in this handbook. While any woman can join United Methodist Women as a member, United Methodist Women elected leaders must be laywomen who are willing to commit their talents, time, energy and effort to serve God’s mission. Presidents at all levels of the organization must be members of a United Methodist church. At Anderson we are focused on God’s mission for people in need locally, nationally and globally in our daily walk with God. We demonstration acts of mission which is “Love in Action” through our many outreach projects and activities throughout the year, from our bible studies with local women shelters to our global missions of hope, such as, our global project : Little Dresses for Africa” and all the programs in between for families, women, and children in need. 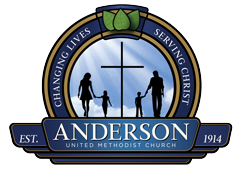 We are proud to partner with the other ministries of Anderson UMC and various communities outreach programs across our local communities and the world to help those in need. Some of the special events and activities that we participate in, sponsor and provide for women and children include: The Lola Smith Academic Scholarship; The Annual Women Day Program; Spiritual Retreats; holiday meals for women shelters; Children’s birthday parties; Christmas Angel Tree for children with Gift Cards distributed to women at the women shelters to purchase gifts for their children; Community Walks/Runs to help find cure s (for Cancer-Sickle Cell-Heart conditions and other chronic conditions). We also, donate to families in crisis, church food pantry and our Annual Fall Tea to fund our mission programs and scholarship. These are only a few of the many outreach activities and partnerships we are involved to help care for others. We give of our time, money and resources in service to God’s work and purpose for us all. We invite you to join us and become a part of a spiritual journey spreading love and God’s word through mission. We meet every 4th Sunday of each month and provide opportunities for mission work and fellowship year round. For more information or to join, please contact our membership Co-Chairs: Rosa King or Nicole Martin at (601) 982-3997.